Hulu now takes Venmo. 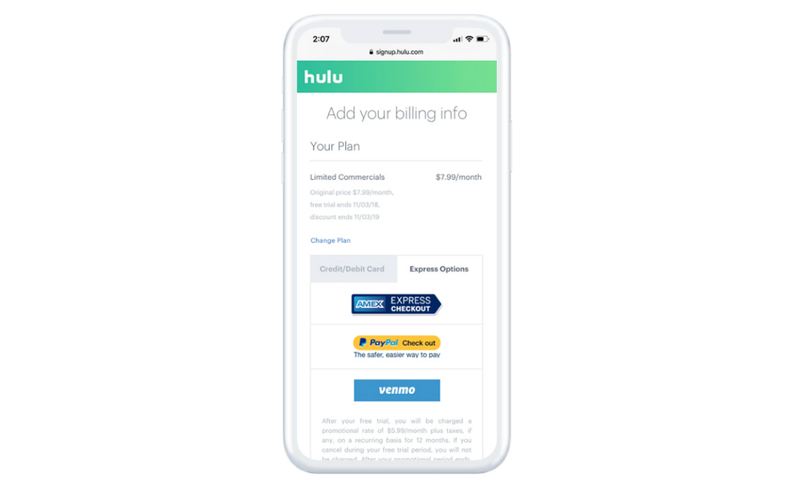 The company revealed last week that, along with more common options like credit and debit cards, it’s allowing subscribers to pay their monthly fees using the mobile transaction service — making it the first streamer to do so. Hulu currently offers subscription tiers beginning at $7.99 per month for its ad-lite service, and $11.99 per month for an ad-free experience — though there have been signs those prices may increase after Disney closes its $52.4 billion acquisition of 21st Century Fox’s assets, making it a majority owner of the platform.